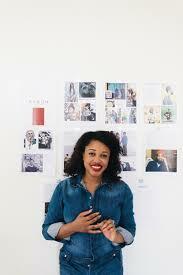 After Lizzy Okoro's first magazine venture failed, at age 11 she didn't give up. She went on to run a Pog pyramid scheme and eventually founded of BUNCH magazine. Lizzy went retro when she started her magazine. While most magazines go digital, she started on the digital side with a blog then learned how to publish a magazine to give her content some credibility. During our interview she shares some great advice on setting a time frame to pursue your dream, surviving burnout, and finding your community. Thanks for listening! An art restorer with some Keith Haring and Jackson Pollock paintings of her own helped inspire Lizzy to start her own business and eventually BUNCH. Lizzy says her first business was a pyramid scheme involving Pogs. For those of you who may not be familiar with the most amazing moment of our childhood, checkout the video below. Lizzy says the Urban Outfitters and Squarespace Start-up contest win came at a critical time. Two tools Lizzy says help make her life easier.